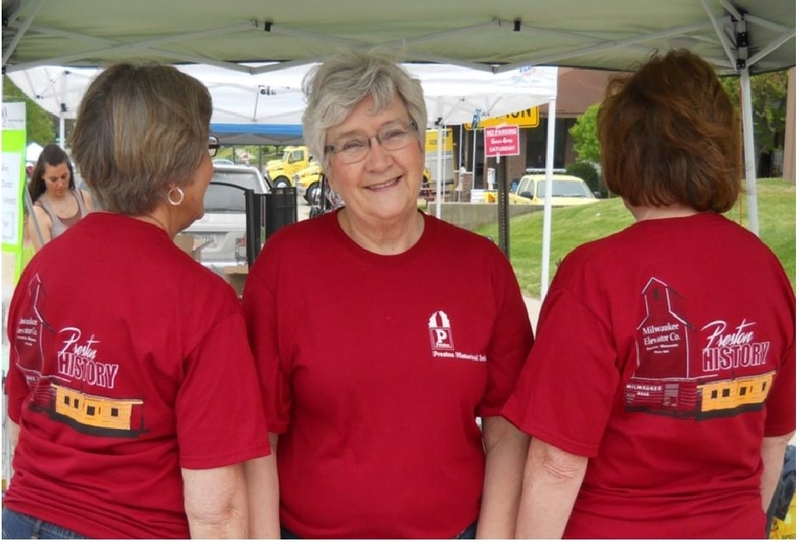 The front of the t-shirt features the PHS logo and the back shows the elevator, boxcar and caboose. The are available in sizes youth medium and large ;adult small, medium, large, x-large, 2x and 3x. The shirts cost $15 except for the 2x and 3x which cost $17. The are for sale at the Preston Visitor Center or by contacting us.